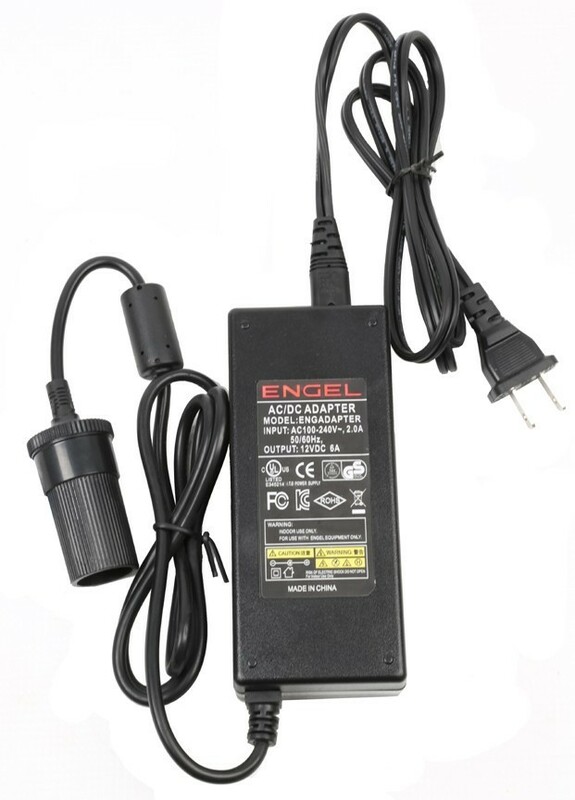 Engel AC adaptor for when you may need your small Engel to run at home or in a hotel - and not in your car. For our small DC only model freezers we have a solution - the AC to DC adaptor. Plug one end of the adaptor cord into normal house current (110VAC) outlet - other end is a female lighter/accessory socket (12VDC) - similar to what is in your car. This adaptor is only applicable for the following two Engel models MD14F and MHD13F-DM. The larger Engel Fridge/Freezer portable models have this multi-voltage feature built-in.